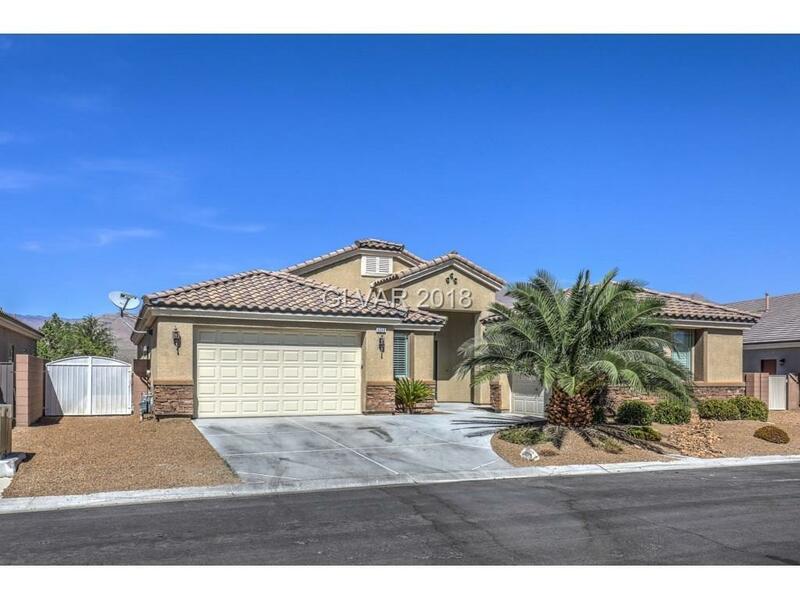 Lovely single story home in gated community w/park! Open plan, vaulted ceilings, custom shutters and blinds throughout. 8' gate for RV/Boat parking. Gas Fireplace with floor to ceiling custom stonework. Upgraded cabinets and granite in kitchen with double oven and stainless steel appliances. Yard features stone patio, lush landscape, custom Jacuzzi, covered patio with cable/satellite, gas stub. Endless Mountain and desert views! Directions: From N Jones & 215 North On Jones, Right On Jalisco, Left On Tuxpan St.